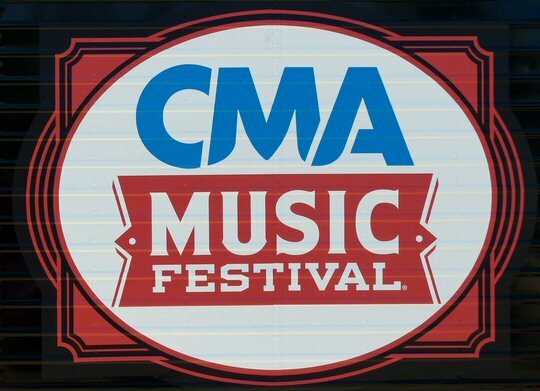 It happened just as things were heating up at the CMA Festival in Nashville, Tennessee. 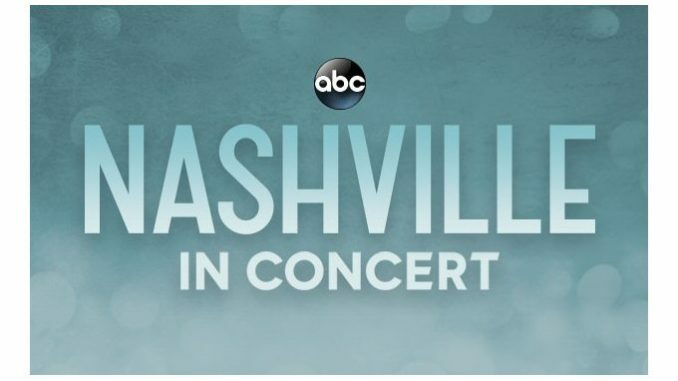 On June 10, 2016 – which was Day 2 of the four day bonanza featuring the best that country music has to offer – television star Charles “Chip” Esten made it official with a much hoped for announcement that his show Nashville would be returning to the airwaves. Charles “Chip” Esten – Nashville’s Deacon Claybourne – at the CMAs. Chip’s news warmed the hearts and was music to the ears of the overflowing crowd at his special “Close Up” interview at the Fan Fair on Friday morning in Music City Center. The long anticipated declaration that the show would go on was received with a euphoric ovation from the Fan Fair faithful. That proved a tangible truth that somehow ABC missed when they unceremoniously cut the beloved program from their roster. The fan base for this series is cult-like, loyal and dedicated to the fictitious tale of love, life and music making in Music City as portrayed by the weekly sometimes sultry soap opera. While the storylines presented throughout the series are fictional the economic impact of the show has been nothing short of reality. Local representatives tout the program for a steady influx of tourism dollars. In Nashville, the production has provided regular employment in the region paying out over $20 million to local workers during season two. That’s one of the reasons the city and state of Tennessee have worked so hard to keep Nashville alive by offering generous financial incentives to Hulu and CMT who will serve as the new caretakers of the scripted drama overseeing a 22-episode season 5. But, at Fan Fair Esten praised the show’s audience for spearheading efforts that caught the attention of alternative network executives. 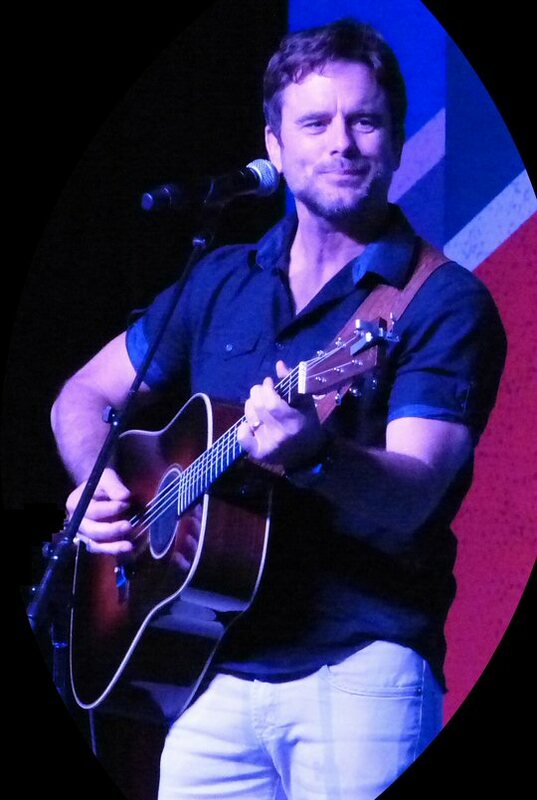 A social media blitz on Twitter using varied hashtags such as #BringBackNashville, #Nashies, and #FreakinDeaconFriday all raised awareness to the fact that this TV tale had a most fervent group of adherents. To prove that point even further they banded together to sign an online petition to plea for another outlet to pick up the show. The effort led to over 175,000 signatures which obviously worked against all odds as it’s rare for a canceled series to find a second life. Chris Carmack – Nashville’s Will Lexington – at the CMAs. Now with a resurrection in hand Esten was all smiles at the CMAs knowing Deacon and the rest of the cast would carry on. Chip was gracious and charming during his “Up Close” segment and played a few acoustic numbers in advance of his afternoon set later in the day at the Riverfront Stage. Jonathan Jackson – Nashville’s Avery Barkley – at the CMAs. 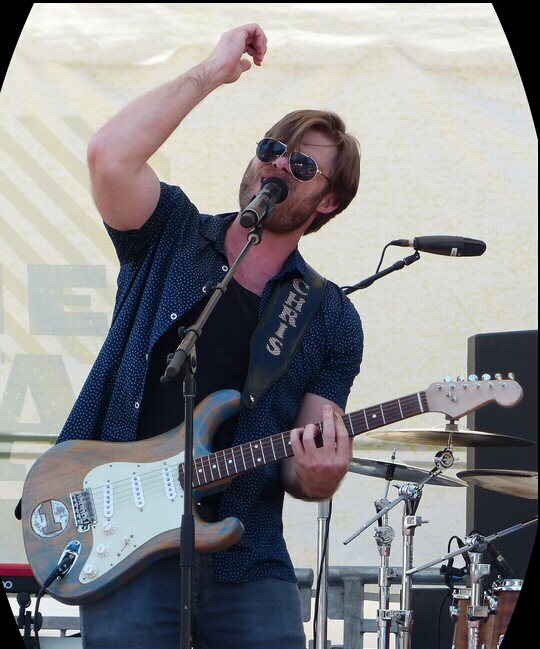 Chris Carmack was also all over the downtown during the first few days of the CMA Festival. He played a special intimate performance at the HGTV Lodge on Thursday following that with a CD signing on Broadway. On Friday, he played a steamy segment of music at the Chevrolet Cruze Park Stage near the Country Music Hall of Fame. It’s a safe bet the many of the characters on Nashville will find their way to The Hall in the years to come. 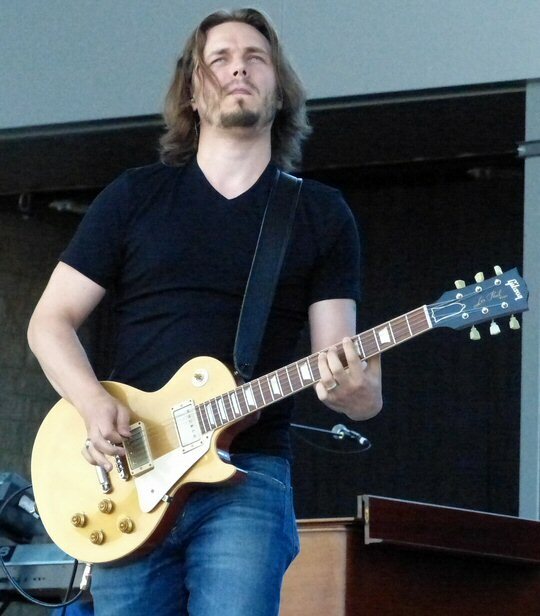 Jonathan Jackson known as Avery Barkely to Nashies didn’t mention the extension during his gig on Thursday at the Ascend Ampitheater but he let his music do the talking. In honor of the venue he opened with the lead track “Ascending” from his new EP. He also did what is fast becoming a signature version of the difficult, engaging and moving “Unchained Melody”. The leading ladies of Nashville were sure not to miss out on the party, either. On Friday, Nashville Mayor Megan Barry and Australian actress Clare “Deep South” Bowen who plays Scarlett O’Connor in the ensemble cast joined Charles during his slot on the Riverfront Stage. 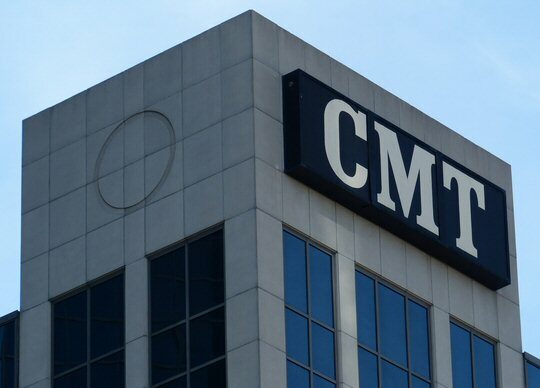 CMT is the new logical and logistically appropriate home for Nashville. “Not only will hundreds of film production workers be keeping their jobs, we will also be keeping the greatest advertising tool for Music City that we have ever seen,” Barry had previously said delighting in the fact that the show lives on. Nashville has also been a major boon to local songwriters, too, with some observers saying that no other scripted show in history has licensed more original music than it has. It also generates additional outsides money through a growing series of international concerts featuring the program’s stars. Long before Nashville there was another television sensation that broke major and acclaimed recording artists. American Idol has a number of incredible successes to their credit and two local artists from that franchise were on hand getting up close and personal with their followers. Both season 10 runner-up Lauren Alaina and Tristan McIntosh a finalist from this year’s final season performed and did meet and greet sessions at this year’s CMAs. Their presence further helped the city of Nashville really come alive for the fans who gathered in Music City in 2016. 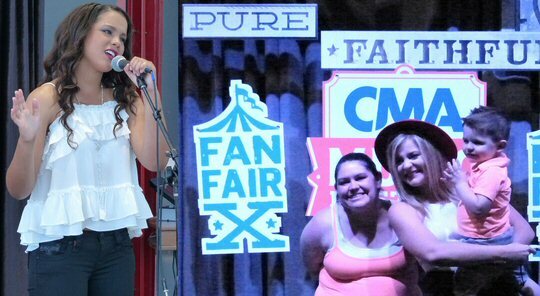 Nashville locals Tristan McIntosh and Lauren Alaina get up close and personal at the CMAs.